In part three of this guide to the best bikes at the NEC bike show , we review the latest offerings from Moto Guzzi, Norton and Piaggio. 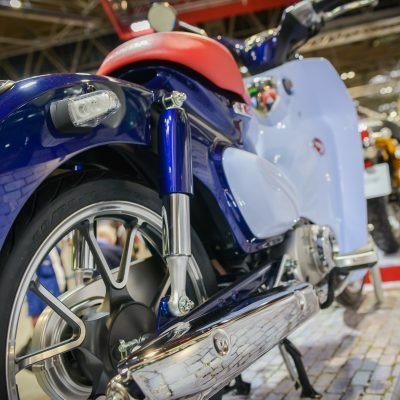 Pictoral review of Motorcycle Live 2017, the UK's biggest bike show hosted at Birmingham's NEC. Featured bikes include Hionda's new Gold wing, super Cub and Monkey concepts, Husqvarna's 701 Vitpilen, Indian's Scout Sixty and the new Ninja 400 and ZR900Rs from Kawasaki. 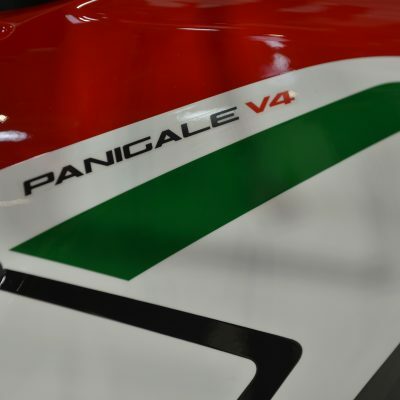 Is the Panigale V4 the best of the new metal at the NEC? The best bike at the NEC show motorcycle Live? Could it be Ducati's Panigale V4, the first mass produced four cylinder motorcycle to roll off the Italian manufacturer's production line. A Ducati Desmosedici is wooing the biking crowds visiting Principal Insurance's stand at Motorcycle Live 2017. It is joined at the NEC by Larry Houghton's Lamb Chop II, a 1959 Tangerine Bonneville, 1985 Yamaha RD350 LC YPVS, new Indian Scout Sixty and the Ducati Diavel ridden by Principal Insurance bike insurance advisor, Mike Sinclair.